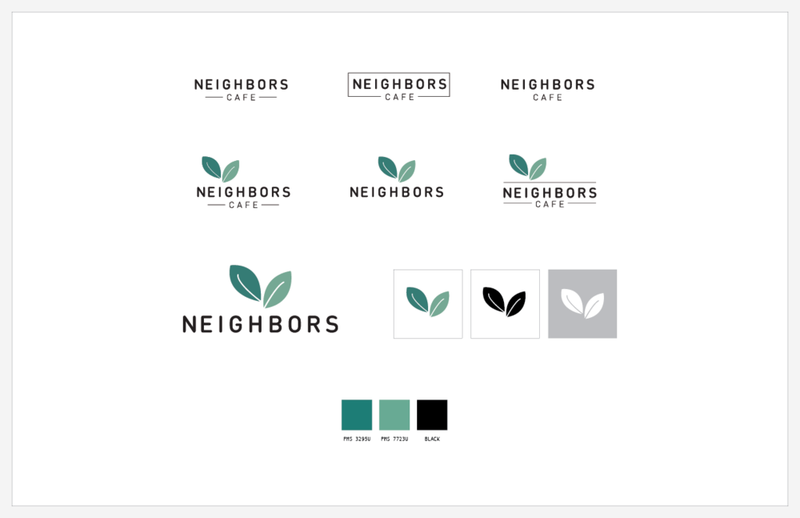 Create a logo and brand identity for Neighbors, a new cafe concept in Las Vegas. Fast, casual service with locally sourced, fresh ingredients, Neighbors invites you to come enjoy a good meal with family and friends. The logo concept was inspired by the owner's vision for the space: an environment that would draw the outside in with natural light, rustic textures and tons of greenery. His hope is for his guests to feel at home and relaxed, a place for them to share in great food and conversations.